We have the 10 best excursions on the Samana Peninsula for you! We are a German Tour Operator in Santa Barbara de Samana, Dominican Republic. The Samana Peninsula is one of the most beautiful areas in the Dominican Republic. There are great excursions here, the best 10 excursions we have put together for you. All excursions take place under German management in English! The province of Samana is a peninsula, with the National Park of Los Haitises, located in the northeast of the Dominican Republic. The capital of the province is Santa Barbara de Samana. In addition, the largest cities on the peninsula are: Las Terrenas, Sanches, Las Galeras and El Limon. Samana is particularly well known for its lush vegetation and the most beautiful beaches of the Dominican Republic. Among insiders, Samana is considered an insider tip of the world's most beautiful holiday resorts! Samana is the rainiest region in the Dominican Republic. 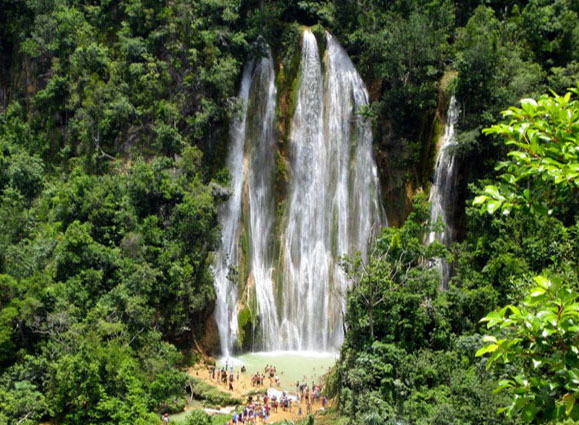 Here there are the most beautiful waterfalls in the country, the most famous being the 170 feet high Salto El Limon Waterfall. Highlights of the Dominican Republic include the Los Haitises National Park, a tropical rainforest bordering the bay with mangrove swamps and hundreds of limestone islands that stand out like giant mushrooms from the sea and are home to pelicans, parrots and Frigate birds. There are still many caves here, which were formerly inhabited by the indigenous people, the Tainos. 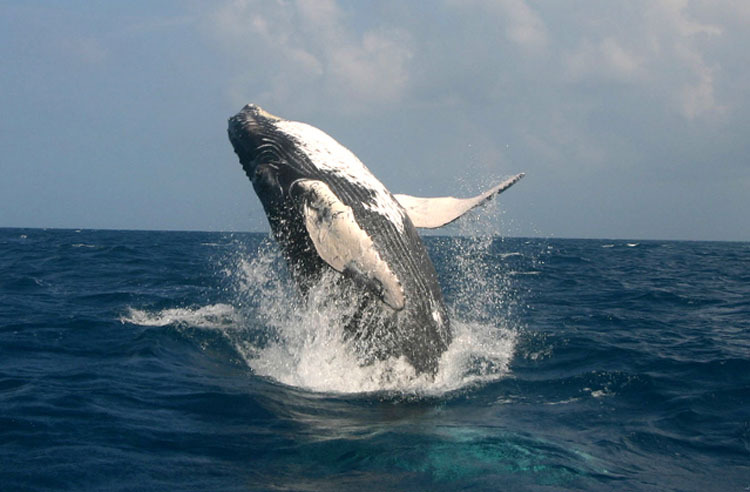 From mid-January to the end of March, more than 1000 formidable humpback whales arrive in Samana Bay. They are warm flowers and belong as air-breathing mammals to the group of large whales. On average, they reach lengths of 12 to 15 metres and a weight of between 30 and 40 tonnes. Some even grow up to 16 metres long and then reach a weight of up to 65 tonnes. The humpback whales of the Atlantic swim the long way (5000 km) from the cold Arctic waters around Greenland and Iceland here to flirt and provide for offspring. Samana Bay is almost 70 km long and between 8 and 18 km wide. The water in the sheltered bay is 12 to 20 meters deep and apparently offers the giants the best conditions for mating and rearing their young calves. My name is Norbert Schmitz and I have known the Dominican Republic for more than 18 years now. I have come to love this country with its joyful people. For 6 years now I have lived on the beautiful Samana Peninsula, which I particularly like for its pious and green nature. A special task of mine is to organize unique excursions away from mass tourism. Our excursions should remain in unforgettable memory with the participants.